Tomorrow You’ll Be One of Us is a humorous tribute to sci fi movies from the 1950s and early 60s. 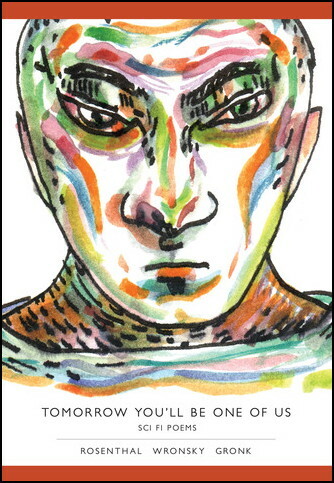 It is a book of poetry and an art book, with over 70 full-color drawings/paintings by Gronk. Written using surrealist techniques to arrange lines of actual dialogue from the films, the poems are experimental yet eminently readable, asking questions such as, “Will anybody ever really know what happened here?” The book is published in a limited edition of 300 copies.